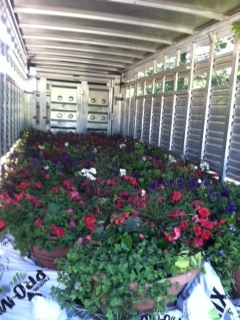 What does it take to get 48 large flower pots from Lowell to Byron Center? Have you ever driven down the freeway (“expressway” in Michigan terminology) and seen a 24′ cattle trailer loaded with flowers? Probably not! If you were traveling on I-96 or M-6 Friday you might have seen this sight!! 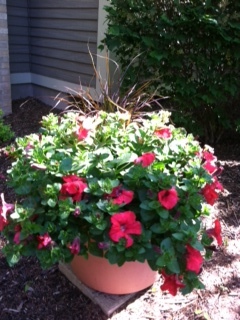 It takes my 12′ trailer and my husband’s 24′ cattle trailer to get all the planters to Railside Condos in Byron Center. 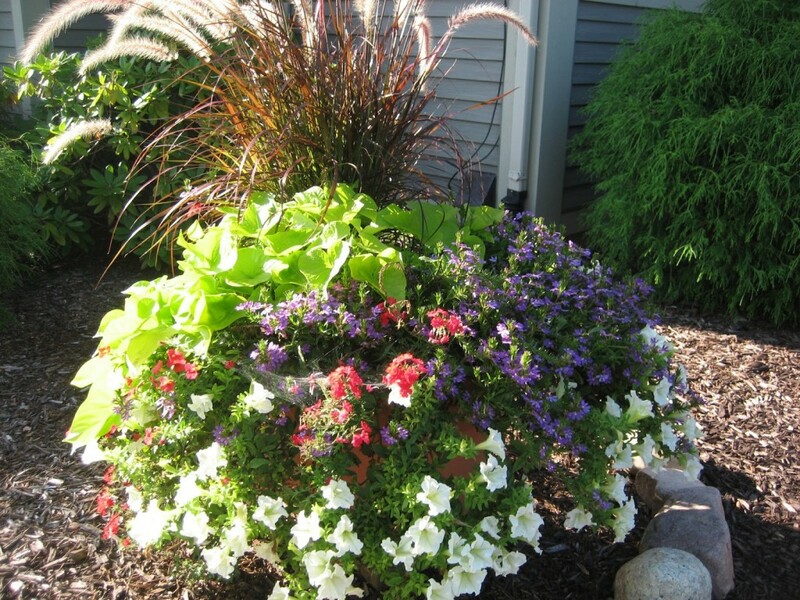 This is always a BIG day….getting rid of these pots lightens my watering duties and it leaves a big empty space in the “plant jungle”! I have done the pots for Railside for 10 years. 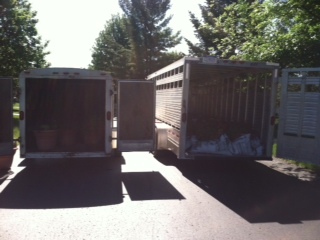 When I first started, I had an 8′ trailer, it would take 5 trips-an entire day to get all the pots there! M-6 didn’t exist so it was back roads all the way there, it took about 1 hr one way. Things have come a long way since then! Now it takes two trailers, one trip, and about 3 hours to get the job done! 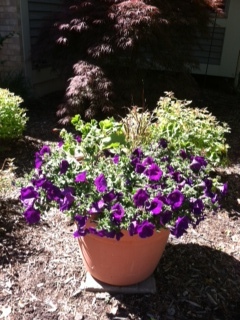 I’ll post updated photos this summer so you can see how the pots have changed.